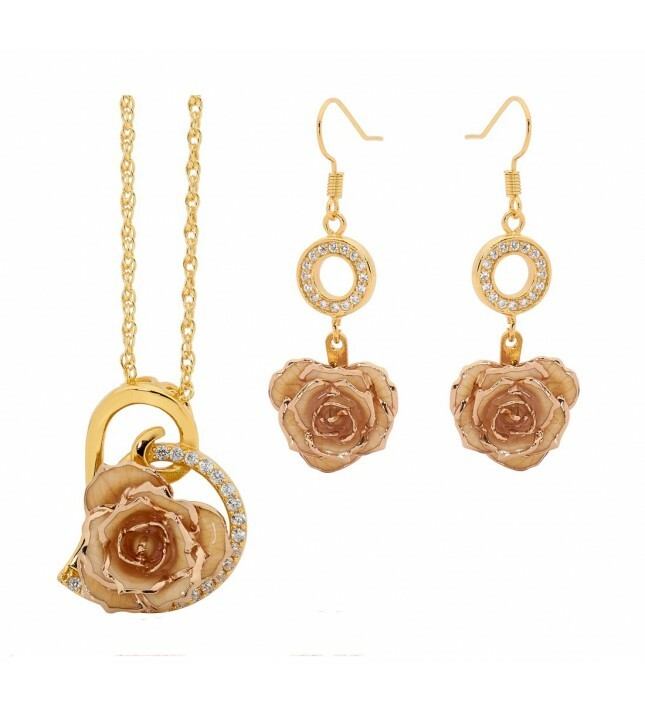 Chic pendant and matching set of earrings which feature beautiful white natural glazed rose petals trimmed with 24 karat gold. Designed in a romantic heart-shape encrusted with 21 brilliant synthetic diamonds on the pendant and 16 on each earring. 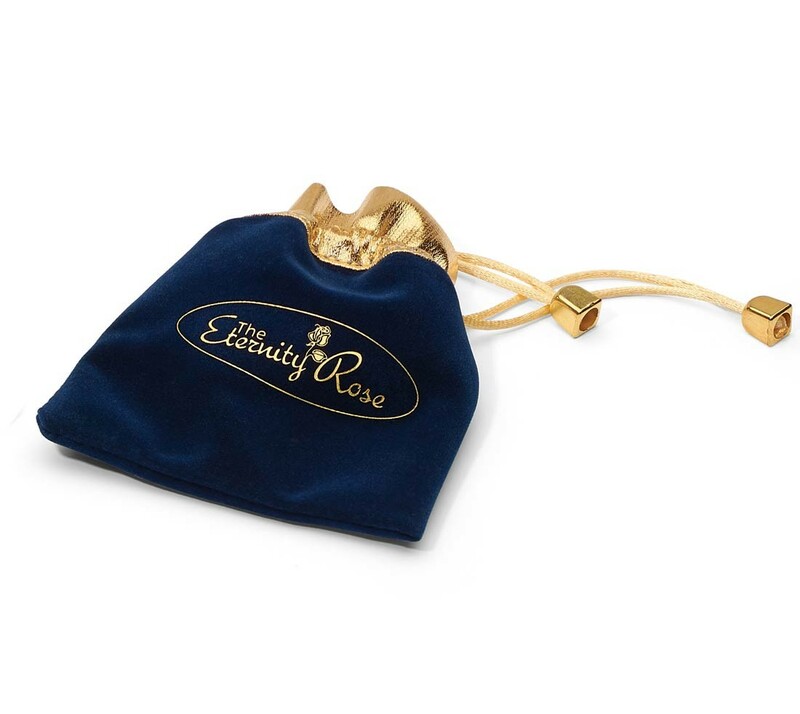 Presented in a dark-blue sleek velvet pouch, closed with a gold braid drawstring. 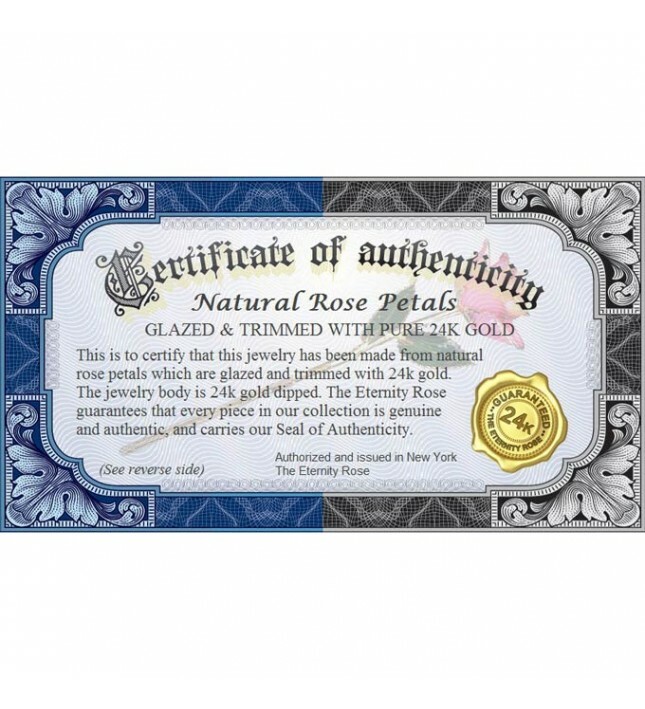 A lifetime warranty backs up the fine detail of this stylish jewelry together with an authenticity certificate. 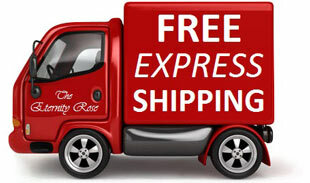 Dispatch is prompt and priority express delivery is standard at no extra cost. 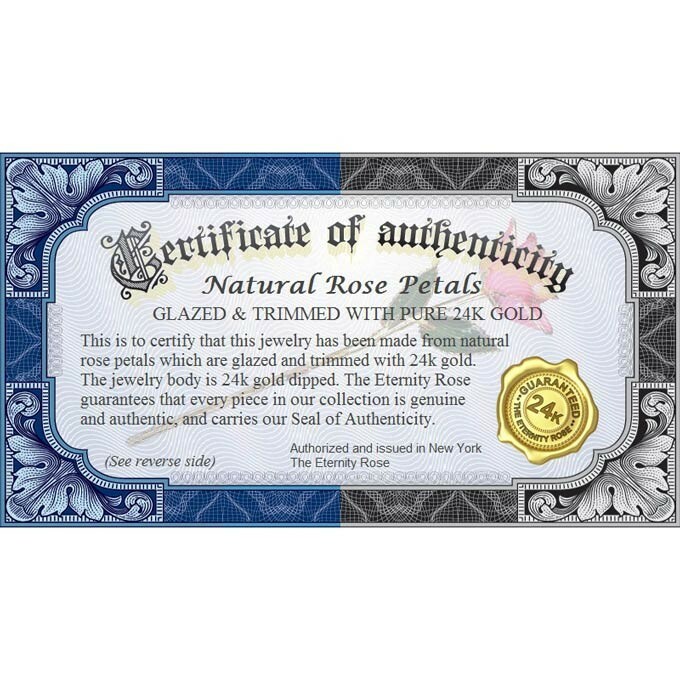 A ROMANTIC PENDANT IN A HEART DESIGN formed using real rose petals, glazed then trimmed with 24K gold and encrusted with 21 radiant synthetic diamonds. 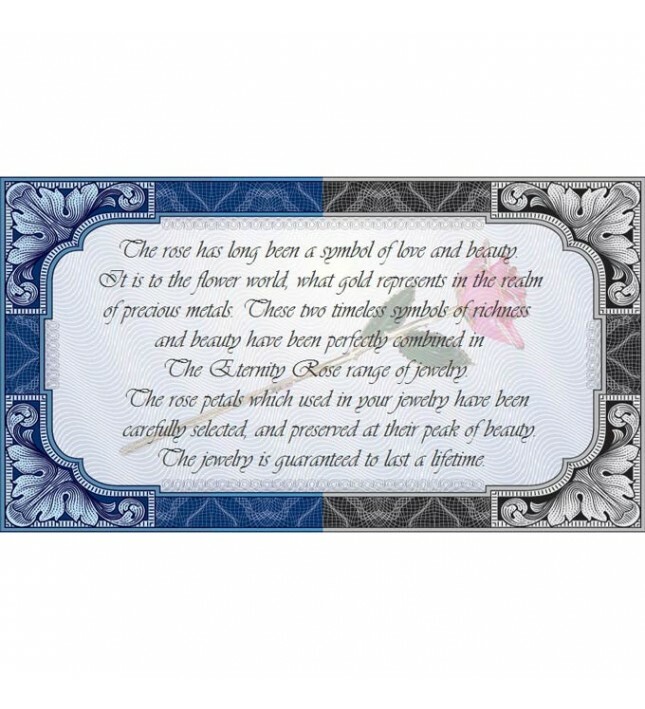 A matching gold-dipped multi-link chain is included. 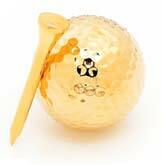 The pendant's rose head has a diameter of 3/4” approximately, with the pendant measuring 1.18” x 0.91”. 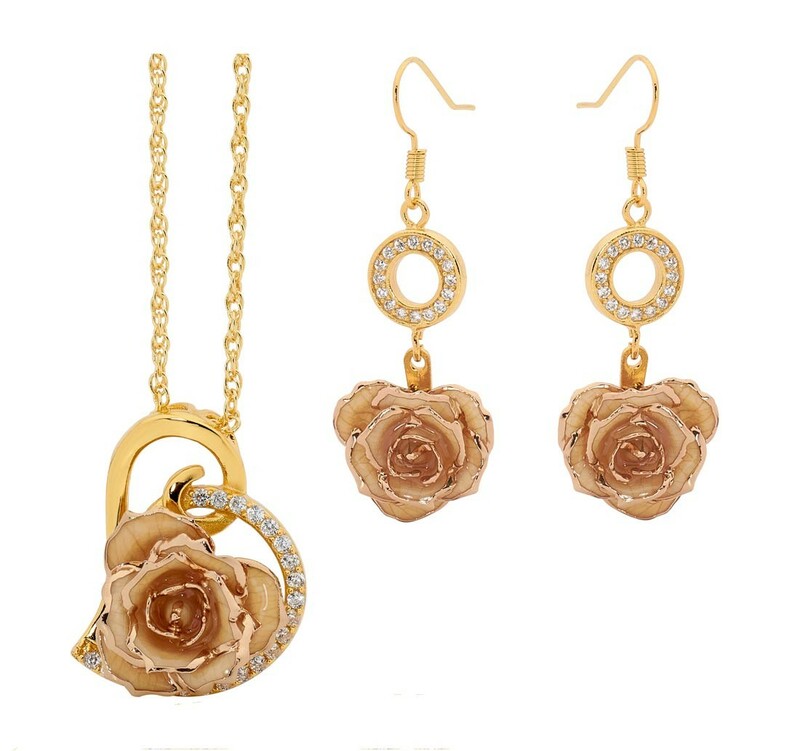 HIGH QUALITY DROP EARRINGS produced using real miniature white rose petals decorated with 24K gold. The length of each earring is 1 5/8” with gold ringlet detailing encrusted with 16 radiant synthetic diamonds. 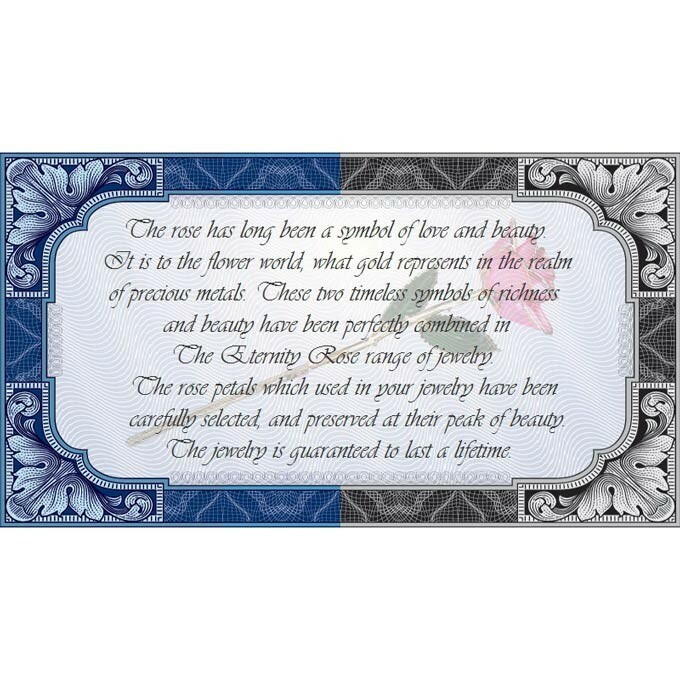 The rose head measures 5/8” approximately in diameter. 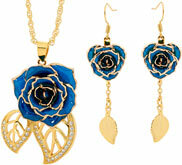 Each set comes in its own jewelry pouch made from sleek navy-blue velvet. It is trimmed with golden braided drawstrings to ensure safe storage. 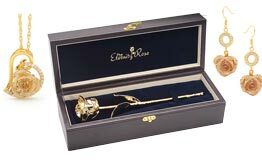 Choosing this stunning matching set guarantees you a unique design and individual handcrafting by talented artists. Hand-made to Europe's highest standards, this set's design is not only award winning, but is also given the protection of a lifetime warranty. 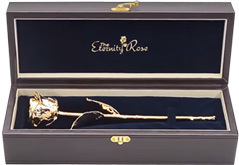 A robust quality control process ensures every set is flawless and is the ideal present for any loved one who has a taste for art and a passion for the elegance of a rose's natural beauty. 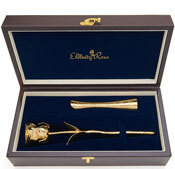 We also have available a set which features our classic leaf design.